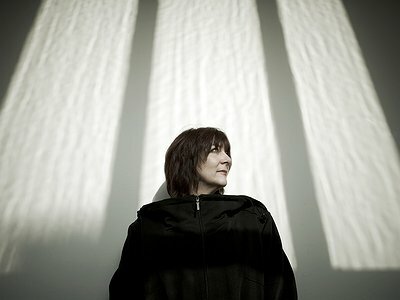 Website / Contact: If you enjoyed this interview with Cosey Fanni Tutti, you can find more information about her on her website. I guess very early dabblings and live performances don’t really count so I’d say around 1971 during COUM. My drive to explore sound was my early passion - no doubt influenced by my father’s hobby of electronics and then music like Zappa, Nico, Hendrix, Beefheart, Velvet Underground. I’ve not really thought of myself or my work like that. I wasn’t interested in emulating others so much as being inspired by people who had such strong conviction and self belief. I saw that as key to finding my own voice as well as an experimental unorthodox approach - being in opposition to and outside the mainstream. What were your main compositional-and production-challenges in the beginning and how have they changed over time? Composition was no problem in terms of what sounds I wanted to generate. It was the basic problem of finances that were my biggest challenge and source of frustration. But that led to being inventive which in turn led to new discoveries. Back then the technology just wasn’t accessible unless you were at University or worked in a studio. Early on I rented equipment that was beyond our financial reach. Thankfully accessibility to technology is no longer a hinder to my creativity but finances remain somewhat nettlesome at times. Me and Chris having our own studio has been the most important factor both practically speaking and creatively. Not being ‘against the clock’ means I have time to let things unfold or conversely it lends itself to spontaneous responses to ideas that may arise at the most unexpected moments. Then I can go into the studio and get to work. Mood is a huge factor - it can be a real channel blocker or be the thing that makes the creative process seem effortless. Haptics - I’m someone who needs physical feedback, I like to be hands on - action and response. I don’t get the same buzz from clicking a mouse or trackpad. Ergonomics are really important. Me and Chris review the studio and equipment layout all the time to suit our needs (and mood). The studio has to be tidy, neither of us can work in chaos. I need to have everything within easy reach as I like to work quickly once I have a sound in my head that needs to be externalised or recorded. Instruments are tools for me so: my Guitar, Cornet, voice - alongside my laptop, FX units, software and anything else I can get my hands on that can deliver what I need. I try not to let production tools influence the compositional process but sometimes they do. Ableton is a case in point. I try to use it so the ‘Ableton sound’ isn’t obvious. Using samples inside Ableton, their algorithms definitely have their Ableton sound which isn’t always what I want, so I counter that as much as possible. I do a lot of considered sampling and re-sampling of my own material. Technology is so sophisticated now, it can do so much for you and I don't like being removed by relinquishing too much to software. I still use a lot of hardware and work intuitively as I compose sounds using the software more as a recorder. That is such a huge question when I’ve recorded over fifty albums (solo, TG, Chris & Cosey etc) and they’re are all so different. I don’t ‘write’ music. I create on the fly, intuitively, placing and shaping sounds, listening for the next sound that suggests itself as I go along.